Chocology Unlimited | Chocology Today tagged "caramel fudge"
Do you know the significance of March 19th? It’s National Chocolate-Caramel Day and you can bet we’ll be celebrating at Chocology. Who doesn’t love the ooey, gooey merging of chocolate and caramel? It’s a tried and true combination and certainly deserves recognition in a big way. No wonder it has it’s own national holiday! At Chocology, we recognize that chocolate and caramel deserve a special place in our line of gourmet chocolate treats. Have you tried our sweet and rich caramel fudge? 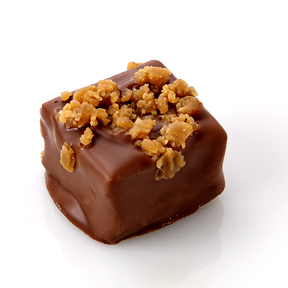 Our Milk Chocolate Caramel goat's milk fudge is one of our most popular flavors. Goat's milk and goat's butter fudge is extra creamy and melts like a chocolate dream in your mouth. And don’t forget our artisan milk chocolate ganache truffles. No matter how you slice it, there’s no denying that chocolate and caramel make great companions. We want to celebrate with you! For every order placed this week, we’ll send along a complimentary treat sized sampler of our caramel fudge. What better way to celebrate than to share with you, our valued customers? We hope you are enjoying the updated website and blog. To stay up to date on all things chocolate don’t forget to follow us on Twitter, Instagram or Facebook. Be sure to subscribe to our blog to get Chocology Today delivered right to your inbox. What is your favorite chocolate holiday? We’d love to know your preference! Let’s stay in touch!